✅ Trip Verified | London to Dubai via Bahrain. The first time I've flown with this airline and was really impressed. 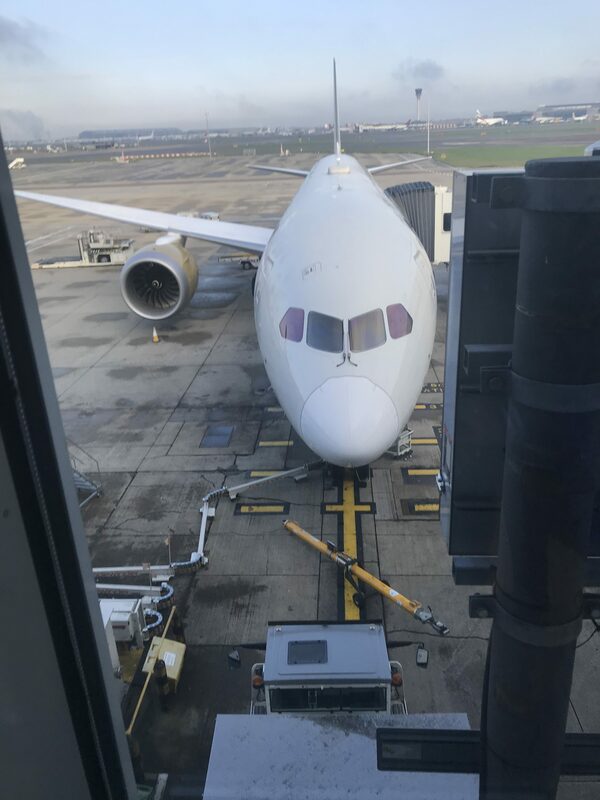 The first leg from London to Bahrain was on their new B787-9 planes which were really clean and fresh, and you can immediately see the size of the thing. Add to that, the comfort, features and cabin pressure made the flight a much more enjoyable experience so top marks for that. The service onboard was fantastic with the crew assisting in every way possible, got a good location seating wise since there was 4 of us. The only downside is their planes have a 3 by 3 by 3 layout which means if you are a family or 4-6, you'll be sitting in the next row with a gap (I think most planes have at least 4 in one row) but this is a new plane so can't complain. Check-in from LHR was prompt including take-off and landing on time. The plane landed at Bahrain so smoothly you wouldn't even notice! Legroom was exceptional for the economy cabin as was the storage in the lockers and the seat pitch. The amenity kit was provided also which added to the comfort. The final leg of my journey from Bahrain to Dubai was on the older A320-200. Although these are old, I found them to be comfortable and for a journey which was only 1 hour it did the job perfectly. Legroom was fantastic, the seat pitch was great. Food and drinks were served promptly on both legs of the journey. For the short-haul flights, you are transported via bus to the plane at BAH, from the old terminal rather than using the sky bridges as the planes are also parked far away. On the way back, there was double security checking at Bahrain airport which I found weird, and this was just before we commenced boarding but nothing that detracted from the overall experience. I’ve not used the airline before, since my main route used to be with Qatar flying via Doha but since that route has been closed, Gulf is a viable option. In-flight entertainment is excellent on the 10” touch screens to keep you entertained, the map system is also very nice using a system by Thales. Overall, I would recommend this airline, and will definitely fly in the future. 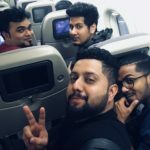 ✅ Trip Verified | Bahrain to Dubai. Nice and very good flight, friendly cabin crew, nice cabin and good seats, the meal was very delicious, the welcoming drinks and dates and arabic coffee were very good. "credit when it is due"
Not Verified | Bahrain to Abu Dhabi. I like to give credit when it is due, it is not often that we see positives about experiences when flying especially in Y class. This was a redemption ticket with miles as I am gold with Gulf Air. Painless booking. Check in very smooth, through fast track immigration as always in seconds and the lounge had its usual decent food and bev. I have always found Gulf Air crew to be their best asset, they are always upbeat, and have that can do attitude. One passenger across from me looked very nervous and the crew were great in supporting her and keeping her assured. Service perfectly for this hop, with a second drink delivered with of course attitude. Kudos to Gulf Air, better flight crews and on board service on short hops that EK or EY and I am gold with both. Where Gulf Air need to improve is their entertainment systems which lack any real content. ✅ Trip Verified | London to Bangkok via Bahrain. Everything about the flights was excellent but in particular the cabin service was absolutely superb. Quick and efficient check in and boarding. Great food with very comfortable and spacious seat / bed. Easily the best airline I have used. "new kind of baggage policies"
✅ Trip Verified | Worst airline ever, they have some new kind of baggage policies. Only one bag at 23kg, is that make sense? Flight is late, food is disgusting for me. They should not have entertainment system, as anything you play, they keep on announcing unnecessary stuff. Airfares are extremely expensive . ✅ Trip Verified | Manila to Istanbul via Bahrain. Gulf Air appears to have decided to use its new 787 for the MNL-BHR (GF155) route, and the Apex seats in the business cabin were quite good. It turned out that this was the only thing positive about the flight, however. The FAs seemed nice enough but were not as attentive as one would expect. The food was definitely not good - it's like they just served really bad economy class food on linen and plates. IFE selection was also very limited. 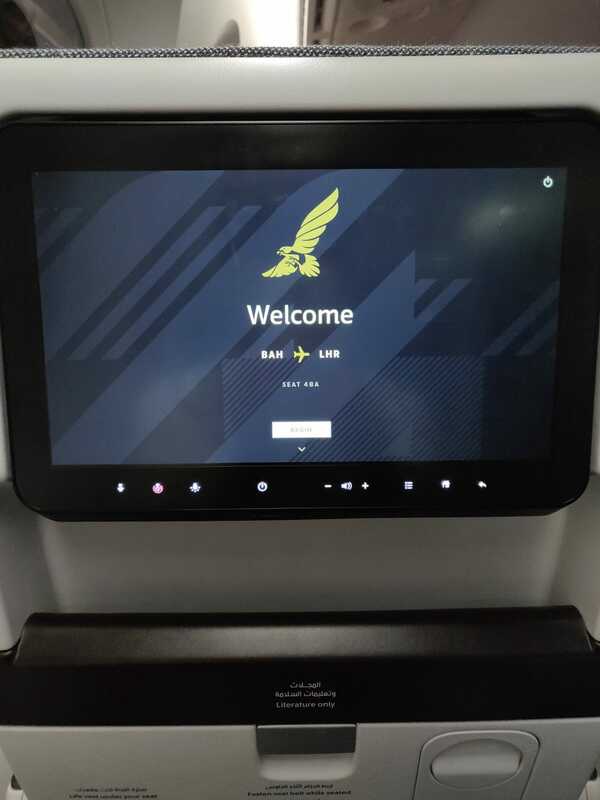 I’ve seen YouTube videos of Gulf Air business class passengers on the airline’s new 787s having a wonderful time, being given pajamas, being attended to by a “sky chef,” being spoiled by the FAs, enjoying delicious food, choosing desserts from a cart. These things will not happen on this route - you will experience a general sense of apathy, you will have to endure being ignored by a generally invisible crew, and you will get hungry enough to wish you had stashed a burger in your carry-on bag. The second leg of the journey, BHR-IST, was a bit better simply because I had by this time thrown all expectations out the window and was just waiting to arrive at our destination. The experience was again more or less the same on our inbound flights (GF44 & 154), but this time around one of the male FAs took the effort to put on a “sky chef” uniform and later wheeled in a cart with a few dessert choices. I did not go hungry this time because I had the foresight to bring some food with me on this flight (just like I used to do on economy class trans-pacific flights to the US in the early 2000s). In short, Gulf Air provided a nice business class seat but not much else, at least for flights to and from Manila. ✅ Trip Verified | London to Lahore via Bahrain. 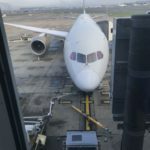 Flight from Heathrow to Bahrain was very uncomfortable because the the seats were small, think twice before buying their ticket because its a 6 hour flight. Though the plane was new but it was a space-conserving plane (Boeing 787-9). Staff was rude to me, food and entertainment rubbish for me. Flight from Bahrain to Lahore was even worse the staff attitude didn't match a professional attitude. Bahrain airport return flight used transfer busses. All in all I will not recommend this airline for long flights. "left my baggage at Bahrain"
✅ Trip Verified | London to Multan via Bahrain. Firstly at Heathrow they were unable to retrieve my booking from Bahrain to Multan. Took them half an hour to retrieve my entire booking. I was travelling on business class from Bahrain to Multan. Guess what? They left my baggage at Bahrain even travelling on business class. Got my bag after 2 days. Never going to travel with them again. 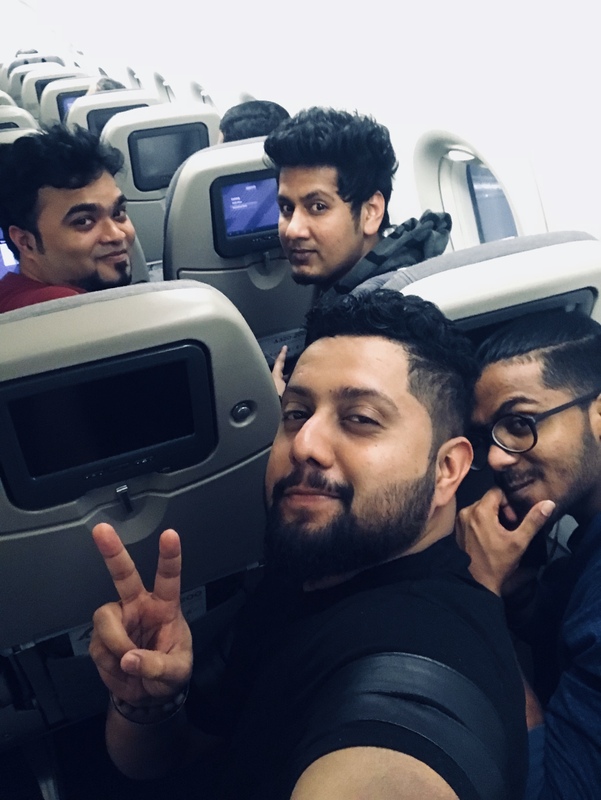 ✅ Trip Verified | Bahrain to Dhaka. 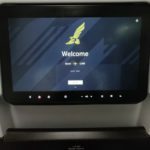 This was my first time with Gulf Air. The condition of the airplane was below standard. Specially the air hostess were annoying, they were inadequate in number and behaving rough with the passengers. I understand that many of the passengers were poor/ labour Bangladeshi but they were not travelling for free. So they got the right too. All the passenger were unable to speak English, so they couldn't argue. ✅ Trip Verified | London to Dubai via Bahrain. Gulf Air offer a good service particularly to and from Heathrow where 787's are used. Using T4 is also an advantage as the terminal appears less hectic than the others. I didn't try the IFE but the food and general service was attentive without being overpowering. Food was good but not exceptional with several dishes being repeated on the outbound and inbound legs. An amenity bag was provided in both directions even though the flights were in daylight. The absence of wifi appears strange on such new planes. The short (60 minute) leg to/from Dubai used a wide bodied A330 one way and a A320 the other. Both aircraft were travel worn but the cabin was almost empty with the same attentive service. Gulf Air offer a significantly lower cost option than direct flights to Dubai. I will use them again. Would be 9/10 with in flight wifi.